The construction of ESA's PLATO mission to find and study planets beyond our solar system will be led by Germany's OHB System AG as prime contractor, marking the start of the full industrial phase of the project. PLATO, the PLAnetary Transits and Oscillations of stars mission, will be launched in 2026 to find and study extrasolar planetary systems, with a special emphasis on rocky planets around Sun-like stars and their habitable zone – the distance from a star where liquid water can exist on a planet's surface. "Does a second Earth exist in the universe? This is one of the exciting questions in astrophysics today," says Johann-Dietrich Wörner, director general of ESA. "With our PLATO satellite we are focusing on Earth-like planets orbiting up to the habitable zone around other stars which are similar to our Sun. This will be a major step towards finding another Earth." 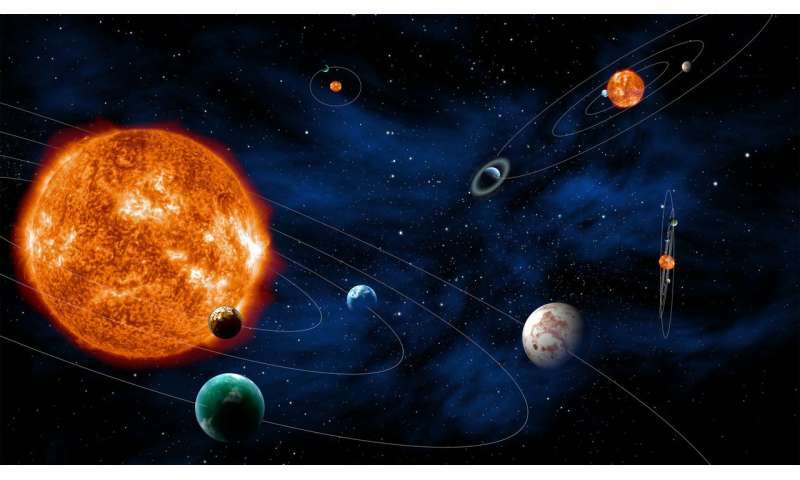 "PLATO is a next-generation exoplanet mission that will monitor thousands of bright stars over a large area of the sky in search of tiny, regular dips in their brightness caused by transiting planets," says Ana Heras, PLATO Project Scientist at ESA. "Since planets only block a minute portion of the light radiated by their parent star, this quest requires extremely precise, long-term photometric observations." The mission will expand on the work of Cheops, ESA's upcoming exoplanet watcher, which will be launched next year to perform a first characterization of known planets. It will be followed by Ariel, scheduled for launch in 2028, which will observe a large and diverse sample of exoplanets to study their atmospheres in great detail. "We are pleased to kick off construction of this exciting mission," says Filippo Marliani, ESA's PLATO Project Manager. "With the prime contractor and the support of European space industry, we are looking forward to building a spacecraft that will tackle some of humankind's most profound questions."